The G# can be tabbed to just the low B or the whole left hand pinky table. The G# can also have movable-tabs added so that they can be “turned on” and “turned off”, depending on the music being played. 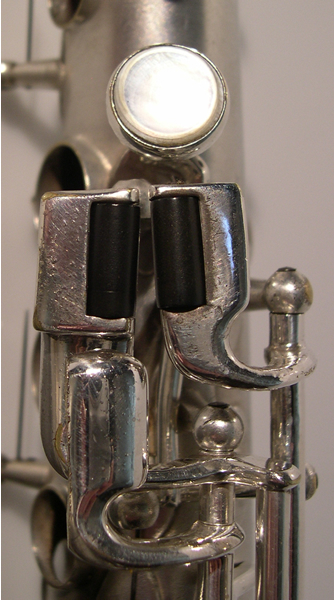 A simple tab can be added to any G#, even the pearl style shown above. 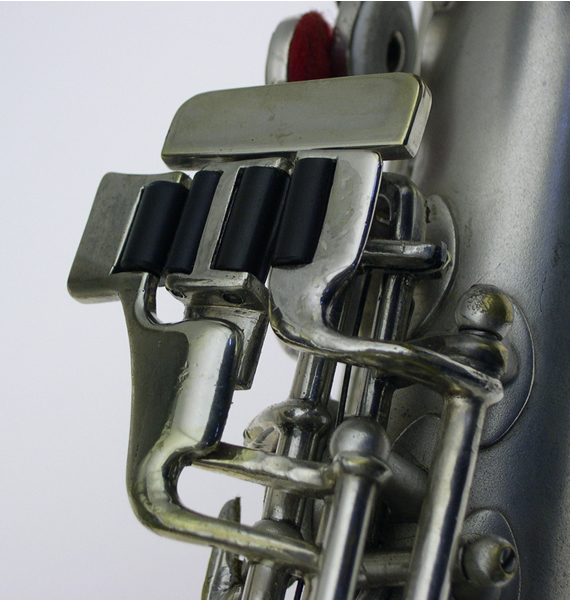 Here is the same mechanism, as that pictured above, which has been modernized with an extended Bb and ergonomic G# touch. During this modernization process is an excellent time to add a tab to the G# touch.